“2.0.0 is here! 2.0.0 updates CircuitPython to a MicroPython 1.9.2 foundation that we built awesome data storage related functionality on. Now you can write files to the file system and, on some boards, write raw bytes to a non-volatile section of memory. 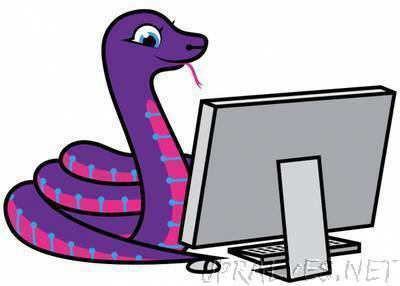 Thank you to all CircuitPython and MicroPython contributors. Second, thank you to all who tested and found issues with 2.0.0 betas: @ladyada, @ntoll, @deshipu, @willingc, @jerryneedell, @KurticusMaximus, @kattni, @cledic, @diogoviannaaraujo, @cpunches, @eighthree, @joeynelson, @mrmcwethy, @fabitencourt, @hukuzatuna. From discord: scruffynerf, Sigafoos. Please keep up the awesome testing! Join us on the Discord chat to collaborate. Update to MicroPython 1.9.2 which supports mounting multiple file systems at once. Introduce a storage module to facilitate mounting and unmounting file systems. atmel-samd: Increase heap size from 16k to 20k. This means more code can be loaded. Thanks @dhalbert! Introduce a nvm.ByteArray to provide limited byte storage even when the file system is read-only. Explicitly load frozen modules from the .frozen python path instead of the empty path implicitly. Documentation improvements thanks to @willingc, @KurticusMaximus, @mrmcwethy and @dhalbert . atmel-samd: Introduce audiobusio.PDMIn for recording sound to memory from a PDM microphone such as the one on the CircuitPlayground Express. atmel-samd: CircuitPlayground Express. NeoPixel library is now frozen in. Moving from 1.0.0 to 2.0.0 is not a perfect process. There are a few things that break when doing so. Have a Feather M0 Express, Metro M0 Express, Gemma M0, Trinket M0 or Circuit Playground Express? Download a .uf2 and follow these instructions. To install our libraries simply download the bundle for your release and copy the lib folder onto your CIRCUITPY drive.